Every day I post tips for planning wedding reception music and party music. I’ve been posting these tips on social media since 2008. You can find them on my Facebook fan page and profile, as well as on my Google +, LinkedIn, and Twitter pages. When it comes to their wedding reception music, every bride and groom thinks especially about their first dance. Sometimes obsessively, sometimes more casually, but they always appreciate these tips for planning their music. 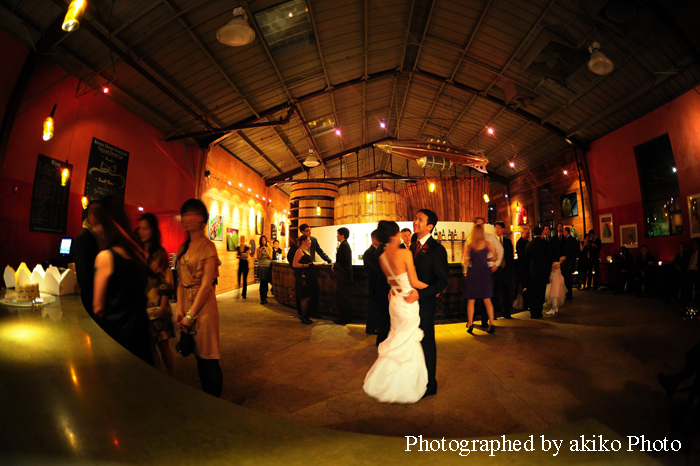 Here is an gorgeous photo of a first dance we played for back in January 2010. The bride and groom selected their sentimental favorite romantic song. Thanks for the wonderful photos, Akiko. And congratulations again, Nicole and George. Nearly every day I help brides and grooms plan their wedding reception music. Especially for their first dance, but also for other special landmarks at their wedding ceremonies and receptions. For example, Processional and Recessional, Candle-Lighting Ceremony, Father-Daughter Dance, and Last Dance. I often rely on two of my favorite tips. First, to help the bride and groom consider ALL their favorite tunes, artists, and musical styles. Second, especially for the first dance, to consider making a medley with several of their sentimental favorite songs. Or perhaps using songs with their names in the titles. However they begin, most brides and grooms plan their wedding reception music easily. Using my tips, a systematic approach, and a little creativity, usually guarantee success. Your turn. Have YOU ever been a bride or a groom? If you ever planned wedding reception music, what tip was most helpful? Next post: What Makes Professional Experience Valuable for Wedding and Party Music?